1. Mix eggs, butter and sugar till all creamy, then add the vanilla powder and sour cream and mix some more. 2. Add the frozen raspberries, they will be crushed while being mixed in the batter, that's ok! 3. Mix all the dry ingredients in a separate bowl and add to the batter and mix in with a spoon then with the mixer. 4. Add the boiling water and mix for a minute more then add the chopped dark chocolate and mix in with a spoon. 5. Oil a bread pan and spoon in the batter. 6. Bake for 50 minutes in a 180 Celsius degrees oven. Take out and let cool for 10 minutes in the pan before taking in out. Date Newtons! The Best Newtons there is! 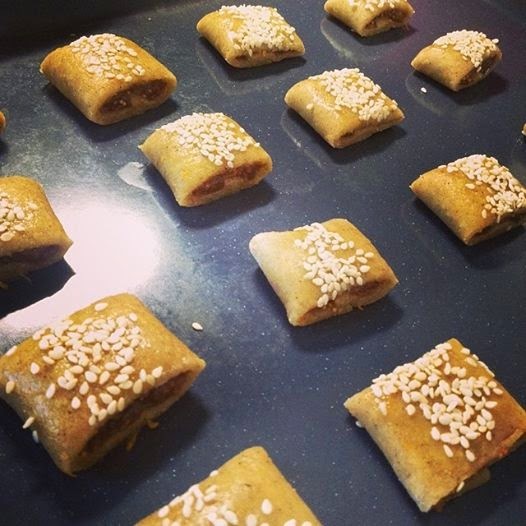 Traditionally in Egypt, fig newtons are filled with dates, so this week I decided to modify my fig newtons recipe and use dates instead of figs. The outcome is beyond what I imagined.. they are delicious!! 1. Chop the dates roughly (the smaller you chop them the quicker they cook). 2. Add all the ingredients, except for the dates syrup to a pot and bring to a boil while stirring. 3. Lower the heat to medium and stir every now and then so the date marmalade would not get stuck to the bottom of the pot. This process should take from 30 to 45 mins. It should be quite thick by now. Almost no liquid at all left. 4. Turn off the heat and either mix the marmalade in your kitchen machine or you can use a hand mixer till you have a smooth marmalade. Don't leave any clumps. 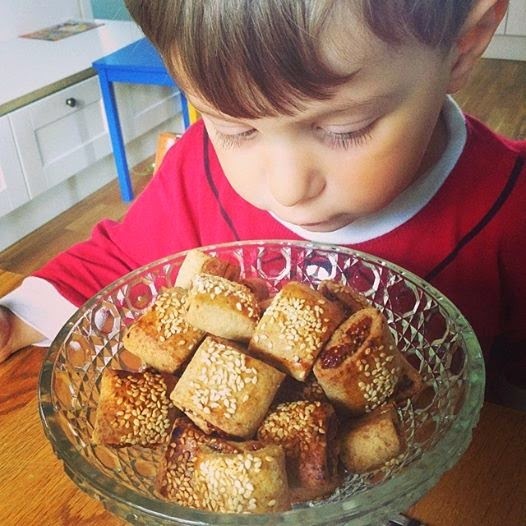 1/2 dl pealed sesame seeds to sprinkle on top. 1. Mix all ingredients into a smooth dough, you add the water after you have kneeded everything else to bring the dough together. 2. Cut into two balls then roll out the dough about 5 mm thick. 3. Cut into rectangles about 7 - 10 cm wide and as long as your dough allows. 4. Spread some of your marmalade in the middle of the rectangle. 5. Fold one side then with your finger brush some egg wash on the tip. 6. Fold the other side so that they barely touch. 7. 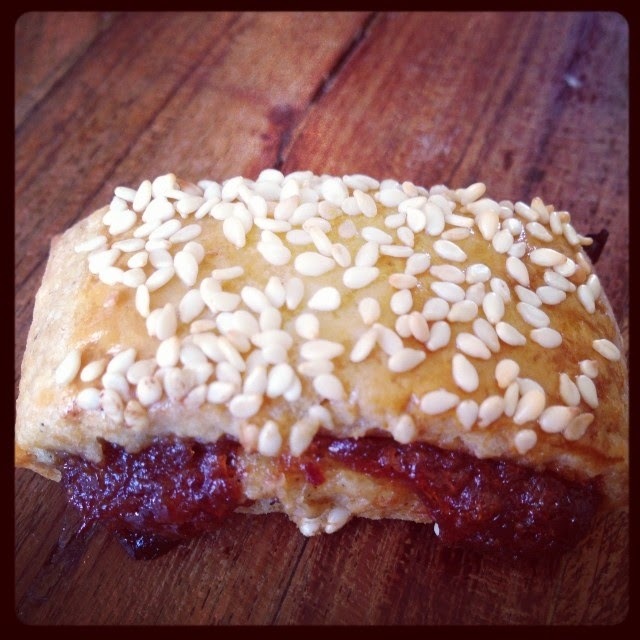 Flip it around and spread some egg wash on top, then sprinkle the sesame seeds. 8. Cut with a knife into bite sized pieces and place on a baking sheet. 9. Bake in an oven 200 Celsius degrees for 15 minutes. 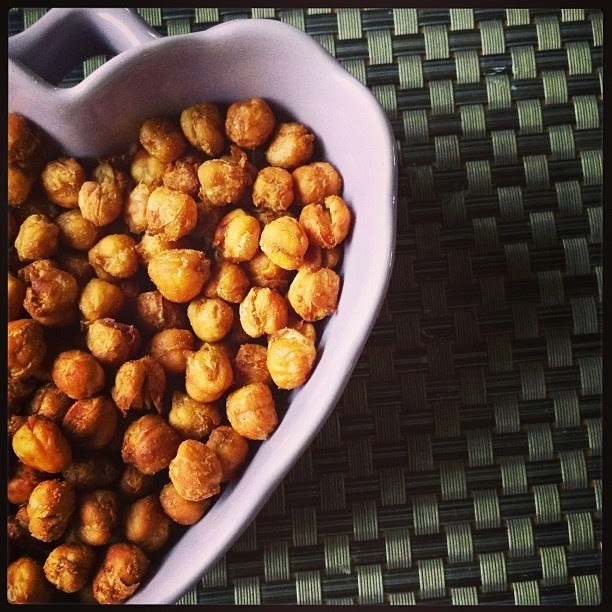 Roasted Chickpeas, a Healthy Snack!! I have used them in many different recipes, like my Vegetarian Thai Curry or my Oven Baked Rice. 1. Drain the chickpeas then spread them on a towel and leave them for 10 mins to dry. 2. Mix the spices with the oil in a bowl then add the chickpeas and mix well. 3. Spread the chickpeas on a baking sheet and put in a 150 Celsius degrees oven for 45 minutes or until they are roasted. Check on them every now and then, each oven is different! 1. Melt the butter in a wok pan, then put in the onions and garlic and fry till the onions are transparent. 2. Add the ginger and sun-dried tomatoes and stir for a couple of minutes. 3. Add the drained chickpeas, and lime juice, then add the coconut milk and red Thai paste. 4. Let it simmer on medium heat for 10 minutes, then add the baby spinach and the moment you add it and stir it in turn off the heat and let the spinach wilt. 5. 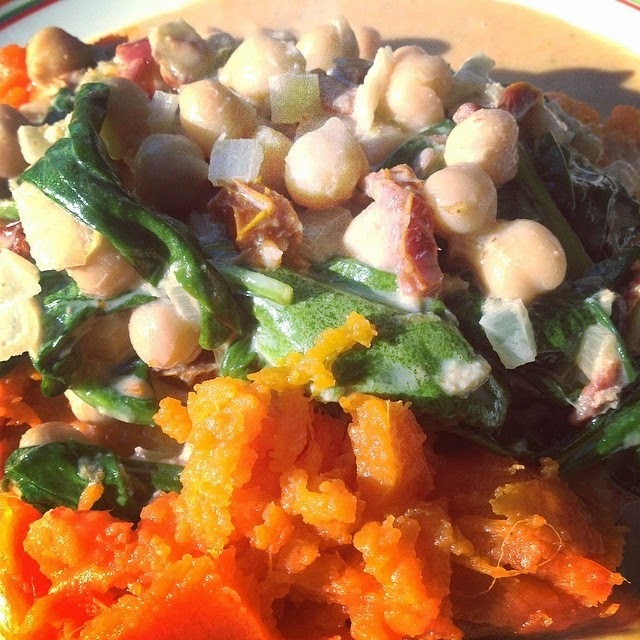 Serve on a bed of mashed roasted sweet potatoes. 6. To roast the sweet potatoes, just put them in a 200 degrees Celsius oven for 45 minutes or until they are tender to your poking finger. 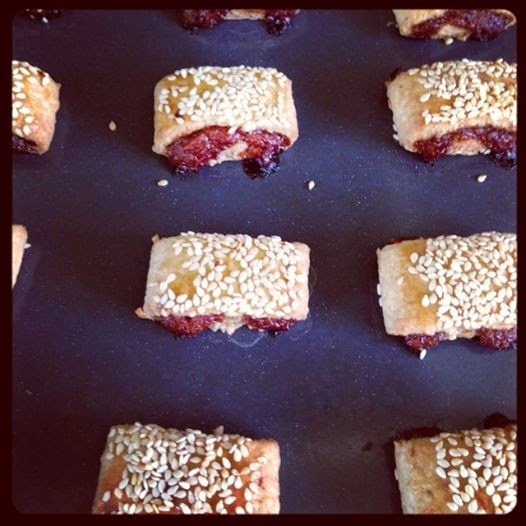 Fig Newtons, or Ka3b El-Ghazal, literally the heals of the deer has always been my absolute favourite. I remember my dad buying big portions of it from the bakery nearby and I just devoured them. 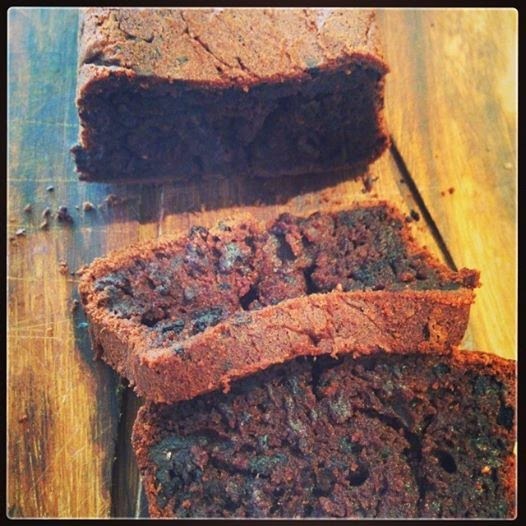 This recipe is much healthier less sweet and tastes of oranges and figs.. YUMMY! They little bites taste better the day after, as the crust softens. 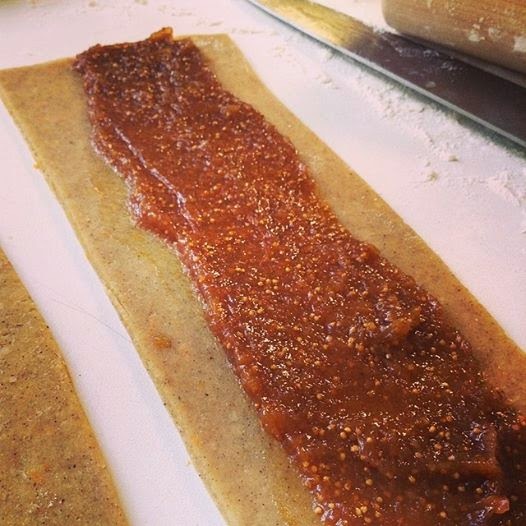 Oh and by the way the filling makes for the best fig marmalade that I have ever had.. blue cheese and crackers anyone? 1. Chop the figs roughly (the smaller you chop them the quicker they cook). 2. Add all the ingredients to a pot and bring to a boil while stirring. 3. Lower the heat to medium and stir every now and then so the fig marmalade would not get stuck to the bottom of the pot. This process should take from 30 to 45 mins. 1. Mix all ingredients into a smooth dough. 2. Cut into two then roll out the dough about 3 - 5 mm thick. 3. Cut into rectangles as shown in the picture above. 9. Bake in an oven 180 Celsius degrees for 15 minutes. You read this right.. I did say school.. this recipe is the only recipe you will ever need for any meatball.. 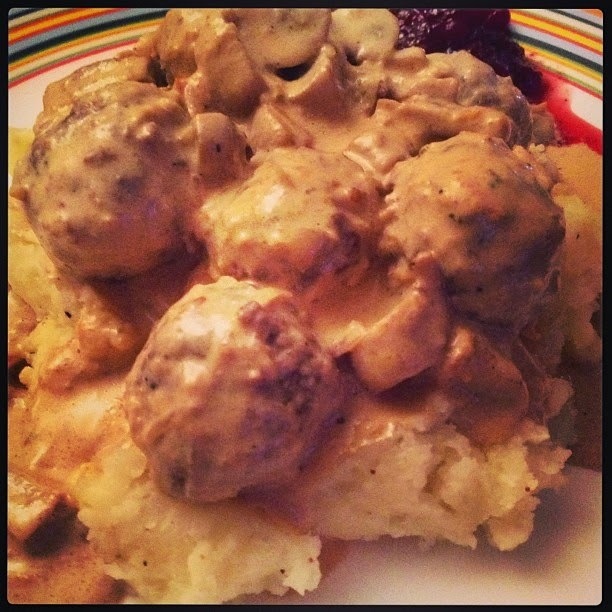 When I moved here almost 10 years ago to the meatballs' country of Sweden.. I tried of course to make my own and my husband's comment was "they are good but my grandma's were the best!" and in Barney Stinson style I said "Challenge accepted!" 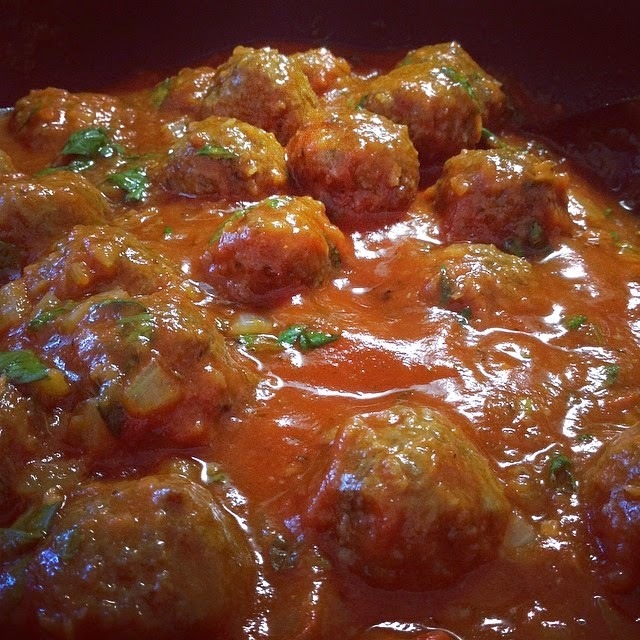 Since then I have tried a gazillion of recipes and about two years ago after yet another experiment I got the long awaited for comment from my husband "These are the best meatballs I have ever had.. even better than my grandma's!" WOOHOO!! I did it! A TIP: Always make a small flat pate after you mix all the ingredients and fry that in a tiny bit of butter and taste it to make sure your meatballs have the right amount of saltiness and the right balance!! 1. Mix all the ingredients including the various meat combinations, and spices that are listed below for the different kinds of meatballs. 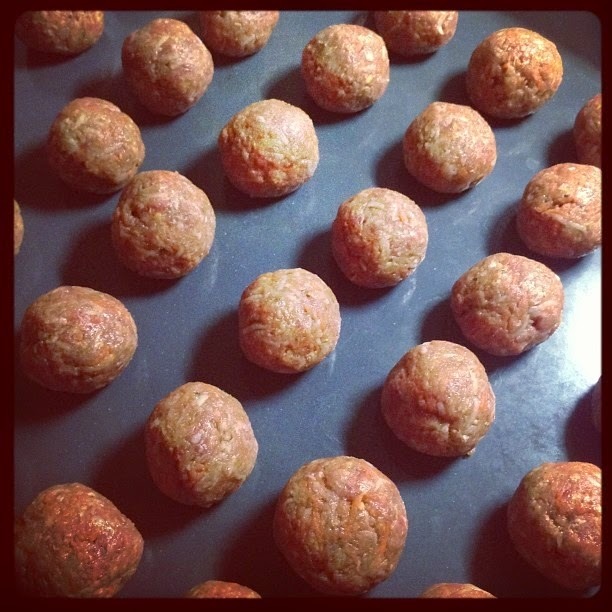 2. take about 3 table spoons of the mix in your hand and roll into meatballs, and place on a baking sheet like a little marching army. 3. Bake in a 200 Celsius degrees oven for 15 minutes. 4. At this point you can freeze the meatballs if you are not cooking them immediately. They last for about 1 month in the freezer. 5. If using them immediately then melt 2 tbsp of butter in a pan then fry the meatballs till they are golden brown and either serve them as they are or mix them with one of the sauces mentioned below. 1. Add the mushrooms to the meatballs in the pan and fry for a couple of minutes till the mushrooms are tender. 2. Add the cream, and concentrated stock then let reduce on low heat while stirring every few minutes. When it starts getting thick add the shredded cheese and pepper and mix till the cheese is completely melted. Careful with the saltiness. If it tastes too salty for you make sure your potatoes have little salt, or add a big spoon of créme faiche towards the end. That should solve your problem. 3. Serve with mashed or boiled potatoes. 1. Add the garlic and onions to the meatballs in the pan and fry for a few minutes till tender. 2. Add the tomato paste and crushed tomatoes then add the rest of the ingredients and stir till the stock cube is dissolved. 3. Let simmer for 10 minutes on medium heat you might need to add a table spoon of water if it gets too dry. 1. Add the garlic and onions to the meatballs in the pan and fry for a few minutes till tender, then add the wine and stir for a couple of minutes. 4. Serve with spaghetti and top with freshly grated parmesan. These I always make for my son or when we have little ones over.. a huge success every time! An Important change in the basic ingredients: I only use half a small red onion instead of a full yellow onion, minced. 1. Add the tomato paste and crushed tomatoes then add the rest of the ingredients and stir till the stock cube is dissolved. Lately eggs have become my absolute favourite breakfast, especially these all in one baked eggs. And since Easter is soon this recipe can be used for an Easter brunch as well. 1. Grease 4 holes in your muffin form for medium sized muffins. And set your oven on 200 degrees Celsius. 2. Mix the shredded potatoes with the melted butter and split into 4 equal portions. 3. Form into the muffin forms to create a basket all the way up to the rim. Bake in the oven for 10 minutes and you might need to put the grill on for the last 3 minutes to get a bit of golden colour on the potatoes. 4. Take out the muffin form and divide the smoked ham/turkey, sun-dried tomatoes, then break an egg in each of the baskets. 5. Sprinkle the cheddar cheese and parsley on top, then sprinkle a tiny bit of salt and some pepper on top as well.